The Witr prayer is one of the greatest acts that draws a person closer to Allah. The timing of the Witr prayer starts after a person prays the Isha prayer until dawn even if he has joined Isha with Maghrib at the time of Maghrib. Evidence for this is that the Prophet (peace and blessings of Allah be upon him) said: “Allah has prescribed for you a prayer (by which He may increase your reward), which is Witr; Allah has enjoined it for you during the time between ‘Isha’ prayer until dawn begins.” Narrated by al-Tirmidhi, 425; classed as saheeh by al-Albaani in Saheeh al-Tirmidhi. It is better to pray the witr prayer in the final third of the of the night because prayer at this time is witnessed by the angels. By final third I mean that you calculate total time between Isha and Fajr and divide by 3 and the final third would be the final third of the night. However, if a person fears that he will not get up at the last third of the night then he or she can pray it straight in the beginning third so that he or she does not miss the prayer. Evidence for this is that Jaabir said (may Allah be pleased with him) said: The Messenger of Allah (peace and blessings of Allah be upon him) said: “Whoever fears that he will not get up at the end of the night, let him pray Witr at the beginning of the night, but whoever thinks that he will be able to get up at the end of the night, let him pray Witr at the end of the night, for prayer at the end of the night is witnessed (by the angels) and that is better.” Narrated by Muslim, 755. One should make the night prayers and odd number and thus the Witr prayer is an odd number of rakkahs. There are several ways of performing the witr prayer one could pray 1, 3, 5, 7, 9, rakkahs. The most common number of rakkahs that are prayed by most Muslims is 3 rakkahs. If you are praying the witr prayer and dawn is approaching then you should pray 1 rakkah so that you can pray witr before the start of dawn. In the witr prayer the Dua of Qanoot is recited in the final rakkah of the Witr prayer either just before going to Raku (i.e. bowing position) or just after straightening up after the Raku (i.e. just before going down to Sajda,). Some scholars say that reciting qanoot after raku (bowing) is better. Both hands should be raised to chest height and the dua of qunoot is recited. The last phrase – Laa manja minka illa ilayka (There is no place of safety from You except with You) – was narrated by Ibn Mandah in al-Tawheed and classed as hasan by al-Albaani. I will describe how to pray a 3 rakkah witr prayer since that is the most popular.. There are two ways a person can perform a 3 rakkah witr prayer. 1. Perform 2 rakkahs like a normal 2 rakkah prayer . Then pray one rakkah with the addition of qanoot after or before Raku. 2. Perform 3 rakkahs like the Maghrib prayer with two differences. First difference is that in the second Rakkah of Maghrib after the second sajood prostration) a person normally sits down to recite the Tashahud. In the witr you do not do that. So you get up and perform the Third Rakkah. Second difference is that in the third rakkah of the witr prayer you should recite the Dua of Qanoot either just before raku or after raku. Some scholars say the first method is best. Prophet (peace and blessings of Allah be upon him) said: “Witr is one rakkah at the end of the night.” Narrated by Muslim, 752. And he (peace and blessings of Allah be upon him) said: “The night prayers are two (rak’ahs) by two, but if one of you fears that dawn is about to break, let him pray one rak’ah to make what he has prayed odd-numbered.” Narrated by al-Bukhaari, 911; Muslim, 749. If a person limits himself to praying one rak’ah, then he has performed the Sunnah. Ibn ‘Umar (may Allah be pleased with him), that he used to separate the two rak 'ahs from the single rakkah with a tasleem, and he said that the Prophet (peace and blessings of Allah be upon him) used to do that. Narrated by Ibn Hibbaan (2435); Ibn Hajar said in al-Fath (2/482): its isnaad is qawiy (strong). 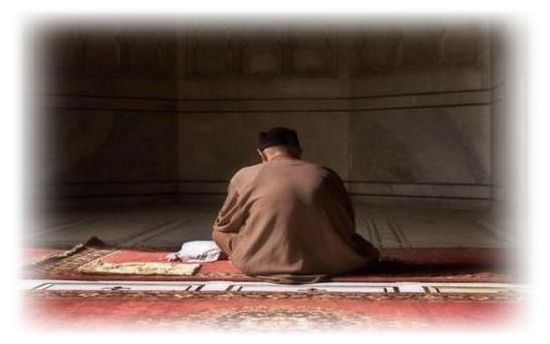 Aa’ishah (may Allah be pleased with her) who said: The Messenger of Allah (peace and blessings of Allah be upon him) used to pray thirteen rak’ahs at night, praying five rak’ahs of Witr, in which he would not sit except in the last rak’ah. Narrated by Muslim, 737. Umm Salamah (may Allah be pleased with her) said: The Prophet (peace and blessings of Allah be upon him) used to pray Witr with five or seven (rak’ahs) and he did not separate between them with any salaam or words. Narrated by Ahmad, 6/290; al-Nasaa’i, 1714. al-Nawawi said: Its isnaad is jayyid. Al-Fath al-Rabbaani, 2/297. and it was classed as saheeh by al-Albaani in Saheeh al-Nasaa’i. Al-Nasaa’i (1729) narrated that Ubayy ibn Ka’b said: The Messenger of Allah (peace and blessings of Allah be upon him) used to recite in Witr Sabbih isma rabbika al-‘a’la (“Glorify the name of your Lord, the Most High” – Soorat al-A’la 87), Qul yaa ayyuha’l-kaafiroon (“Say: O disbeliever…” – Soorat al-Kaafiroon 109) and Qul Huwa Allaahu ahad (“Say: He is Allah, the One” – Soorat al-Ikhlaas 112). Classed as saheeh by al-Albaani in Saheeh al-Nasaa’i. All these ways of offering Witr prayer have been mentioned in the Sunnah, but the best way is not to stick to one particular way; rather one should do it one way one time and another way another time, so that one will have done all the Sunnah's. With regard to Qunoot: there are two extreme views and one middle (or moderate) view. Some say that qunoot should only be recited before bowing and some say that it should only be recited after bowing. The fuqaha’ among the scholars of hadeeth, such as Ahmad and others, say that both are allowed, because both are mentioned in the saheeh Sunnah, but they preferred reciting qunoot after bowing because this is mentioned more often. Raising the hands is mentioned in a saheeh report from ‘Umar (may Allah be pleased with him), as was narrated by al-Bayhaqi in a report which he classed as saheeh (2/210). The worshipper should raise his hands to chest height and no more, because this du’aa’ is not a du’aa’ of supplication in which a person needs to raise his hands high. Rather it is a du’aa’ of hope in which a person holds out his palms towards heaven… The apparent meaning of the scholar’s words is that the worshipper should hold his hands close together like a beggar who asks someone else to give him something. It is better not to recite qunoot in witr all the time, rather it should be done sometimes, because there is no evidence that the Messenger of Allah (peace and blessings of Allah be upon him) did it all the time. But he taught al-Hasan ibn ‘Ali (may Allah be pleased with him) a du’aa’ to recite in qunoot al-witr, as will be quoted below. It is mustahabb to say after the tasleem: Subhaan al-Malik al-Quddoos three times, elongating the vowels the third time, as narrated by al-Nasaa’i (1699) and classed as hasan by al-Albaani in Saheeh Sunan al-Nasaa’i. Al-Daaraqutni added the word: Rabb al-Malaa’ikah wa’l-Rooh (Lord of the angels and the Spirit), with a saheeh isnaad. See Zaad al-Ma’aad by Ibn al-Qayyim, 1/337.